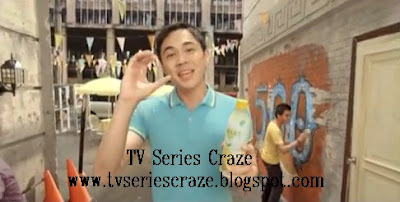 "Pinoy Big Brother Unlimited" Big winner Slater Young got his very first TV commercial! He is now the newest endorser of a refreshing drink with Vitamin C called Smart C+. On the said TVC, Slater talks and acts in a very natural way. He is light and modest in giving and explaining the different meanings of C.
The TV commercial is simple yet full of details! Slater is walking while convincing the people. He is talking about the benefits from the said juice drink. After winning the reality show, Slater got many guest appearances in the different Kapamilya shows. But reports say, Slater will be part of two ABS-CBN teleseryes - Angelito: Ang Bagong Yugto which will premiere July 16 and John Lloyd and Bea's reunion teleserye, A Beautiful Affair with his former housemate, Carlo Romero. Aside from acting, Slater is also said to become one of the hosts of the return of the award-winning travel show, Trip Na Trip produced by Bayan Productions.